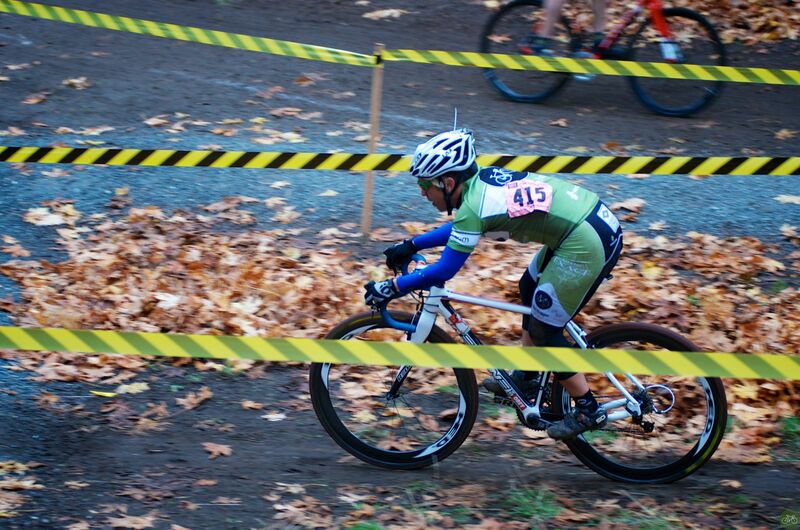 MFG’s season-closer at Woodland Park is a fun race but not particularly suited to me. I love the flat sections in the picnic area; when it’s a bit wet you can really rail through the turns. But because of some tendinitis issues early in the season followed by 50hr+ work weeks at the shop, I’m not really in the shape I was last year. Which is a damn shame since I got a lucky position on the grid and made it through the first corner top-10. At first I was just flying, but what waits at the end of the singletrack put my chances of a top-10 finish into perspective. A 90deg left into a steep dirt section was rideable but very difficult to set-up proper in the middle of traffic. Though easy to ride on the warm up laps I never cleaned it on any of the five race laps; in fact, I fell once trying to set up the turn. After that there was a short false flat to a set of barriers, then a gap too short to ride but not pleasant for non-runners like me to hoof it. Then a short hill with 2 somewhat slippery logs, and even though I made fairly clean remounts, you soon turned almost 180deg to make the course’s longest climb (with a short flat in the middle) back to the parking lot. In short, there is nowhere to recover. Most of the other local courses (like SCX’s Steilacoom) have sections laid out like a lab rat maze through the grass, and I seem to do relatively well at that. I’m also decent on singletrack, so I can recover in between run-ups and climbs, but Woodland just makes ya take it all in one huge bite. So, yes… I choked on it. 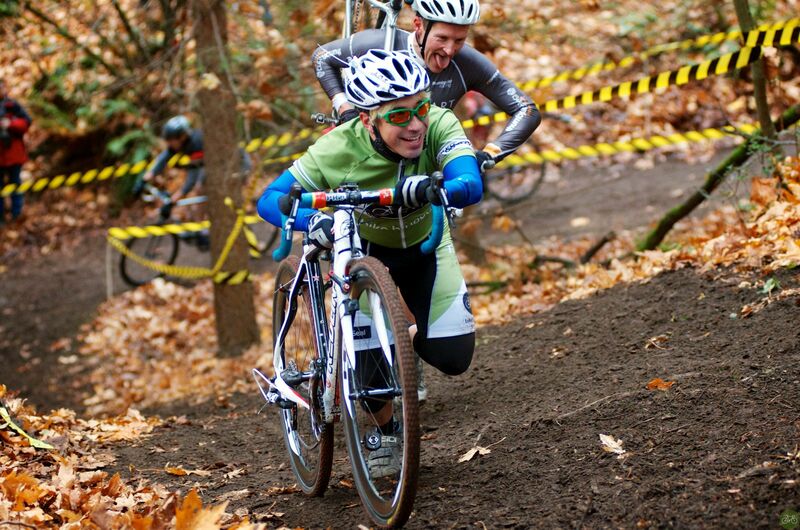 Even the final stretch is too short for me to really work up a sprint. That’s right, 25th place guy…..10 more meters and I would have had you hanging out with unlucky 27th place dude.